"Freeths has a 'very highly regarded family law team', which includes Judith Speed and Diana Copestake, who are 'incredibly experienced' and 'a massive asset'." Diana has advised people for over 35 years on all aspects of family law. She has developed particular expertise in advising on the financial consequences of marriage and relationship breakdown, taking into account family businesses, companies and pension provisions. Diana has a wealth of experience of dealing with issues relating to arrangements for children and tends to deal with these in a practical manner. She advises clients of the realistic prospects of any application, taking into account the welfare of the child or children. She also advises on pre and post nuptial agreements, cohabitation agreements, divorce and applications under the Children Act. Diana joined the firm’s family team in 2009 having worked for Gadsby Coxon & Copestake, which merged with Nelsons in 1999, since 1982 i.e. a total of 26 years. 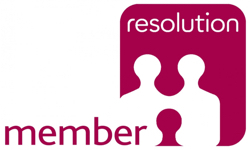 She is a member of Resolution and is a trained collaborative lawyer; offering you choice of trying to resolve the matter without court involvement. Diana was listed as a Recommended lawyer in the Legal 500 (2017 Edition). Diana recognises the emotional impact of the breakdown of a relationship. While fully understanding this, she encourages people to try and move forward as amicably as possible without the need for court intervention. She aims to achieve constructive legal solutions in a quick and cost effective manner for her clients. Where this is not possible, Diana is more than capable of representing her client in the court process to achieve the best outcome possible. Successfully advised and guided a client through the court process where the only asset was his company interests held in Europe. This enabled him to retain those company interests free of claim. Successfully assisted a client who had come to England from the USA with no assets. Diana helped her to secure a lump sum payment to enable her to purchase a property in the UK following the breakdown of her marriage. Applied for and obtained for a mother’s leave to change the surname of her son, where the father had parental responsibility – an unusual order to obtain except in exceptional circumstances. If mediation doesn’t feel like the right option for you then collaborative practice might better suit your circumstances, this is a process where the lawyers work together with you and your partner, as a team, to resolve the issues in face to face meetings. Diana can advise on Civil Partnerships. Diana can help cohabiting couples. Diana also works with couples interested in preserving wealth with the preparation of pre and post marital agreements. Diana has developed particular expertise in advising on the financial consequences of marriage and relationship breakdown, taking into account family businesses, companies and pension provisions. If you are dealing with financial issues in court, Diana can advise on what factors the court would take into account. Successfully advised and guided a client through the court process where the main asset was the client’s company. This was worth several million pounds and he wished to retain it at all costs. Diana can advise on pensions and divorce. If you are dealing with issues in court, Diana can advise on what factors the court would take into account. Diana has a wealth of experience of dealing with issues relating to arrangements for children and tends to deal with these in a practical manner. Diana can advise on taking a child abroad.